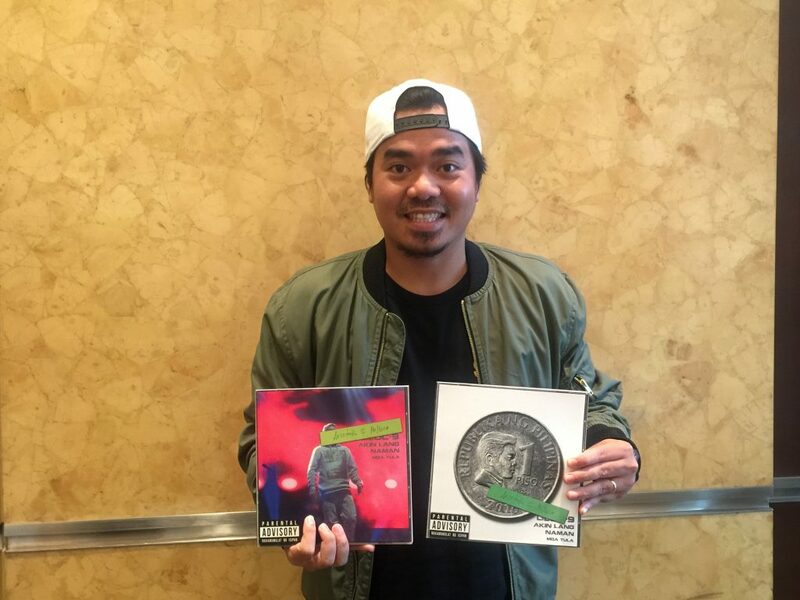 Well known for his songs such as “Upuan,” “Hari ng Tondo,” “Magda,” and “Sirena” that contain statements on struggle, discrimination, or patriotism, Gloc-9 is one of the most looked-up-to songwriters in the country. As the artist rarely writes the lyrics we hear in final songs formally, this is the first time that his works as a writer and more specifically, as a poet, will be seen through this new poem collective. National Artist for Literature Dr. Bienvenido Lumbera praised the poetic side of Gloc-9, stating in the book’s foreword that the works were of city-life consciousness, reflecting the rapper’s mass activist advocacy. The book comes in two artistic covers—one by artist Mervin Malonzo and the other by the book’s editor, concert photographer Katrina Stuart Santiago. The newly published writer first shared his print project during the 2017 Philippine Readers and Writers Festival recently held in Raffles Makati. Gloc-9’s book, “Akin Lang Naman,” is now available in leading newsstands and bookstores nationwide for only P195.